(*) Pricing per word/line or part of page is possible as is general pricing. Please contact for details. 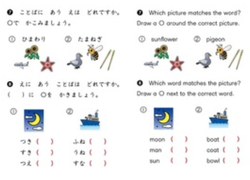 (**) English->Japanese translation is possible for general translation. Prices above are quoted based upon the rate of 10 pages every three days. Depending on schedule, work may be completed sooner, but some rush jobs (next day/same day translation) for any document consisting of considerable content volume is subject to additional charges ranging from 25-40%. Please contact for details. I am available within Japan (Tokyo area) for English and Japanese interpretation as well as for Skype and conference calls. Rates are 3,000円 per hour over Skype/conference call and 5,000円 for on-site interpretation. Intellectual Training is a means of education by which students, particularly younger ones, are presented with a variety of activities and tasks, sometimes with various tools, with which to encourage self-learning and developing a personal style of thought. Creative expression is derived from this as well. The focus tends to be on logical problem solving and learning by association as well are reasoning by both induction and deduction. 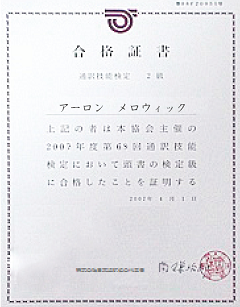 I have designed and implemented real intellectual material as well as translated it between English and Japanese where appropriate. These materials have been used professionally and some samples are available upon request. Game Center CX is an acclaimed Japanese series in which comedian Shinya Arino plays retro games for hours on end, until they are beaten or exhaustion ends up beating him. This successful show has over 180 recorded episodes and many fans worldwide, having reached English speakers largely due to the efforts of the SA GCCX translation team, subsequently being broadcast via streaming by the Kotaku website and seeing an official DVD release. The series became so popular that it spawned three portable games. 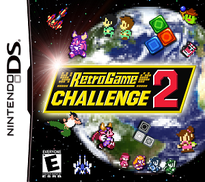 The first Nintendo DS title, GameCenter CX: Arino no Chousenjou, was broght to the occident by Xseed Games under the title of Retro Game Challenge. While met with a lukewarm reaction from the general public, it generated commotion amid lovers of classic games, with its genuinely retro feeling and lovingly crafted gameplay. It features a collection of standalone games within its virtual world that recreate experiences from hits of old, throwing the player right back to Arino's childhood. 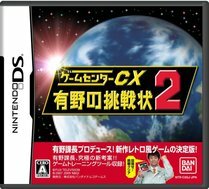 The sequel GameCenter CX: Arino no Chousenjou 2 is a definitive title which improves upon all the features from its predecessor, being more expansive, packing more content and playing better. Unfortunately, it was never made widely accessible outside of Japan due to the limited sales of the first entry. But not anymore! In 2013, Aaron Tokunaga-Chmielowiec took upon himself to translate the title into English, and with the gracious help and service of other volunteers, the impromptu team managed to give all the attention to detail that this series deserves, finally rendering it playable to fans worldwide. In terms of translation, a lot of work was involved putting the 2 Adventure games, RPG, main story and all side conversations into English. There was more text involved in the Adventure games alone than several old-school RPGs of the 8-bit era! Check it out today at it's own site here.